Leonor Espinosa is a plastic artist and economist. She currently runs the kitchens in her restaurants: LEO and MISIA. 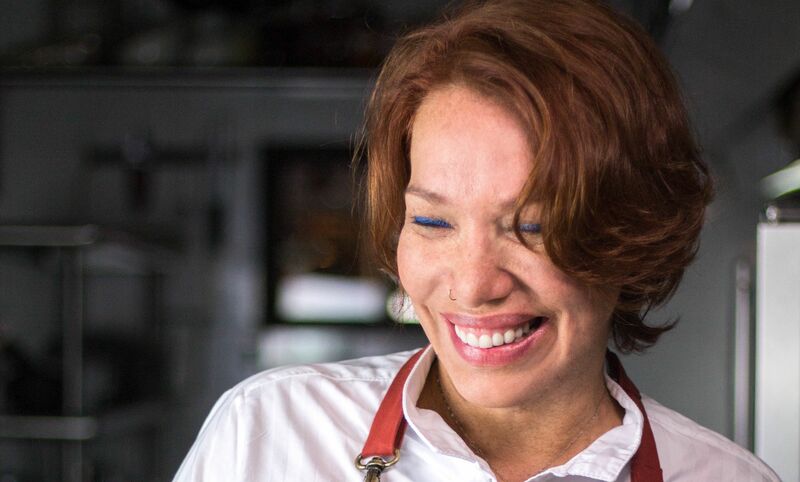 For the last six years, Leonor has made the list of Latin America’s 50 Best Restaurants, which also named her Latin America’s Best Female Chef in 2017. Another of her accolades that year was the Basque Culinary World Prize 2017. Both nationally and internationally, she is currently the world’s most widely recognized Colombian chef. With her daughter, Laura Hernández Espinosa, she leads the FUNLEO foundation in order to carry out work in the community. Among a host of other honors, you have been recognized with the Best Restaurant in Colombia 2018 for LEO and the 10th Best LATAM restaurant 2018, you feature on TIME MAGAZINE’S list of The World’s 100 Greatest Places 2018 and you have reached the 10th place in the highest-ranking Colombian restaurant. Does that bring more pressure or does it encourage you to continue to improve? It’s such an honor because somehow it reminds me of the hard work and effort that I’ve put in throughout my career. Luckily, I don’t allow all these accolades to generate more pressure because I know that it would affect my loyalty and my convictions. The best part of it is that the honors confirm me that I’m on the right path. Am I right in saying that your core values are tradition, culture and creativity? Yes, you’re right. And I’d add ‘consequence’ to that list. I truly think that all the steps you take are the consequence of something. Are you a chef, an artist or an economist? I am the sum of all these things. I cook, I create art and I do economics, in that order. And also I’m a chef because I lead the cuisine of my two restaurants. For me, the cuisine is an act composed of a set of facts related to knowledge, historical memories and personal experiences. My aim is to bring knowledge to communities in order to create relationships between their territories and the biological species that grow there. The geographical immersion, cosmos’ knowledge, ancestralism, innovations, legitimacy and paradigms; they’re all necessary attributions to take into account so that the culinary process can become an art. I’ve read that you say every single person must have their own distinctive trait. What’s yours? I express myself more as an artist than a chef. I’m not faithful to external conditions. I like to break down preconceptions in everything I do. I do it through my cooking and through my relationship with my staff. Everything I do is by choice and by my personal freedom. Colombian cuisine, as in other countries in our region, is defined by the multi- and interculturality generated by all the different cultures that have influenced it, as well as local migration. The country’s heritage includes indigenous Amerindian communities, Spaniards from the conquest and Africans who were brought in as slaves by the Europeans. All these influences have left their mark on the culinary traditions. It’s a very colorful cuisine. But as everything is moving, nowadays we are not only projecting that ancestralism, but also our magnificent biological diversity. All those promising species can be adapted and incorporated into modern food. Without doubt, Colombia will, among other things, be renowned for its haute cuisine. My cuisine is defined by a characteristic stamp: I’ve put all my efforts into developing my personal style through a contemporary-artistic point of view. …rooted in the traditions and the diversity of your homeland? Travelling around Colombia, I realized the true gastronomy of my country. There’s such a rich culture of cooking but many Colombians don’t connect with it. Too many communities have become isolated and have lost their pride in the food they cook, and I want to help change that. I try to give space and visibility to promising species that grow and are associated with unknown territories, reflecting their richness, like the seed of the macambo, the cacay and the coquindo, as well as different type of nuts and dried fruits that I find along the way. I really think that Colombia can show the world a way of integrating many cultural traditions into its cuisine. That is why in my kitchen, I’m not keen on holding on to anything. The menu in LEO is called CICLO-BIOME. What is it about? The CICLO-BIOMA proposal is based on the periodic study of the different Colombian biomes and ecosystems. I work with biologists, ethnobotanists and dendrologists to discover promising species that can be incorporated into dishes and condiments, trying always to conserve nature and the essence of the product, as well as discovering the life of man in that territories, their knowledge, their uses and customs. Then, working with my foundation, I use the findings to help improve conditions for the ethnic communities who live around such products. It’s without a doubt one of the most passionate projects I’ve ever created. LEO’s cuisine is local products and ancestral knowledge. What is this magic ancestral knowledge? This knowledge is necessary in the creative process to talk about new narratives in Colombian cuisine. I’ve been told that in all your projects you are not alone and you have your daughter Laura with you. Is she learning from you or are you learning from her? We both learn from the same position as partners, friends and family. It’s such a privilege to do it. Laura is one of Colombia’s top sommeliers and it’s an honor that she demonstrates her talent and knowledge at LEO’s. What does the future hold for you, if that’s something you’ve thought about? I’m a person that lives day-by-day. I always say you have to focus on what you have today because it’s the only way you can truly be faithful to your beliefs.